Cherries have been receiving a lot of attention of late due to their beneficial effects on something that affects millions of people: arthritis. According to arthritis researchers, cherries contain anti-inflammatory properties that may work even better than over-the-counter drugs. The Arthritis Foundation says that "drinking tart cherry juice mixed with water three times a day may be beneficial for some people with arthritis ... Cherries also contain varied antioxidants, including kaempferol and quercetin. These compounds, particularly quercetin, may have anti-inflammatory effects that are similar to those of nonsteroidal anti-inflammatory drugs (NSAIDs) such as aspirin and ibuprofen ..."
Researchers have focused their attention on tart cherry juice. According to a 1999 study by Michigan State University researchers, tart cherries contain something called anthocyanins that prevent free radical damage and inhibit cyclooxygenase enzymes better than some anti-inflammatory drugs that work as Cox inhibitors. In order to inhibit Cox-2 enzymes, many anti-inflammatory drugs have to attack both Cox-1 and Cox-2 enzymes. Unfortunately, Cox-1 protects the lining of the stomach. This is why so many people who take anti-inflammatories on a regular basis develop stomach problems. It turns out that cherries contain flavanoids and antioxidants that have a protective effect on the stomach, minimizing the deleterious effects of inhibiting Cox-1 enzymes. While there haven't been any studies done on humans, researchers believe there's strong enough evidence to add cherries to your daily diet. 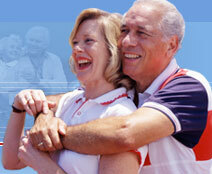 They certainly won't hurt you and they might provide outstanding relief from the pain of arthritis. Rachel Williamson is a contributing writer for Eat This! where she has written about the health benefits of cherry juice.